Direct thermal label paper is an essential part of any direct thermal barcoding system. When exposed to heat, the chemicals embedded in the paper activate to form the barcode image. Since they never use ink or another material like thermal printer ribbons, they can’t smudge or smear like other barcode labels. And since it requires less energy and parts to operate these systems, they’re perfect for smaller mobile systems. 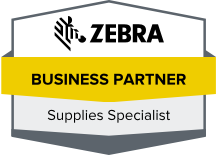 Whether you just need direct printing supplies or are looking for an entire system, the barcode experts at Tri-State Business Systems have the products to meet all of your business’s needs. Our 50,000-square-foot warehouse has a wide variety of brands and products so you won’t have to look anywhere else to find the barcode supplies you need. 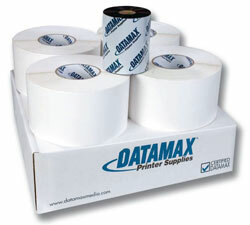 Whether you need a Datamax direct thermal label printer for your distribution point in Jersey City or a new Zebra thermal ribbon for your shipping business in New Brunswick, you’ll find the supplies you need at competitive prices from Tri-State Business Systems. We even give a 1 percent discount off every purchase if you pay your bill within 30 days, which over time can lead to significant savings. For more information on the products and services Tri-State Business Systems can offer customers in Edison, New Brunswick, Trenton South Plainfield, New York City, Newark and throughout the USA, contact us today.